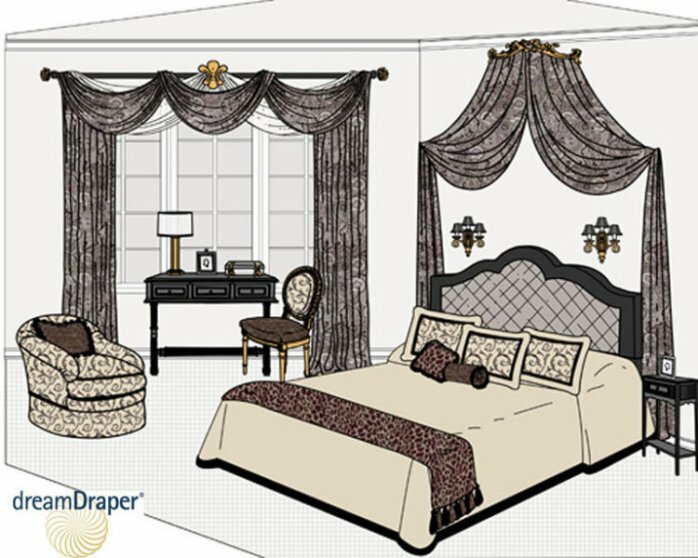 If you exclusively design window treatments, you’ll find that adding bedding to your design and fabrication services can be a big boost to your business – especially when the economy makes business tighter than usual. 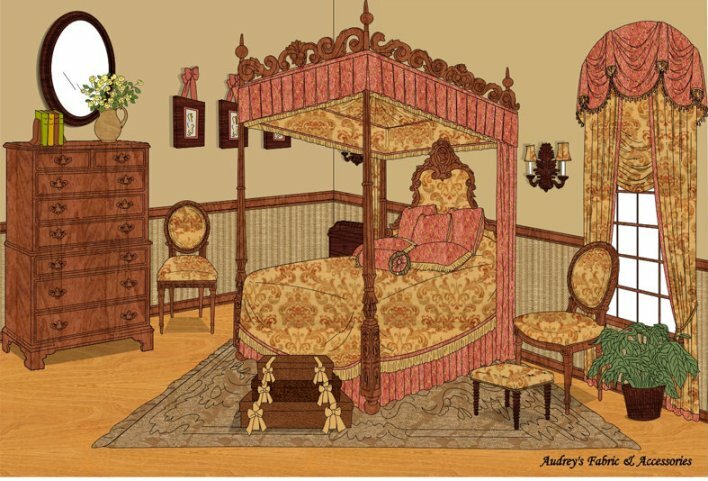 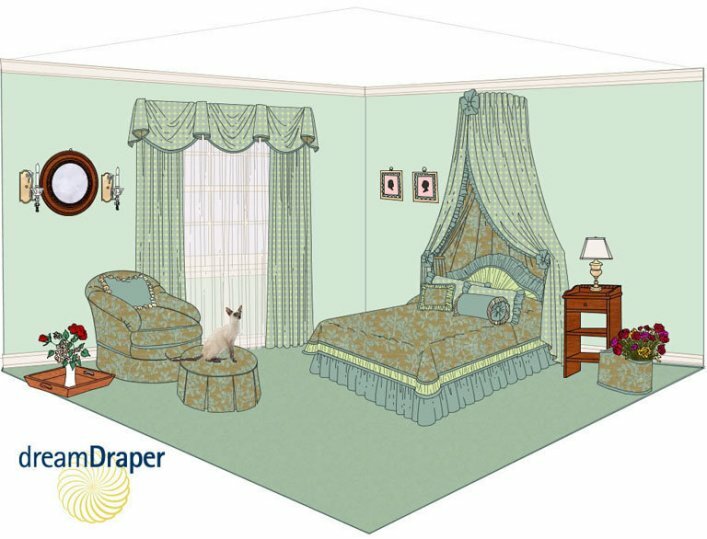 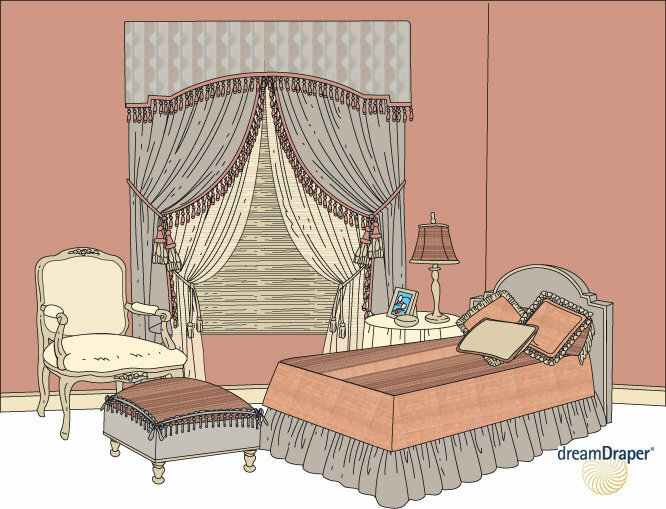 Offer to clients that you can create custom bedroom furniture and accessories that match their window treatments. 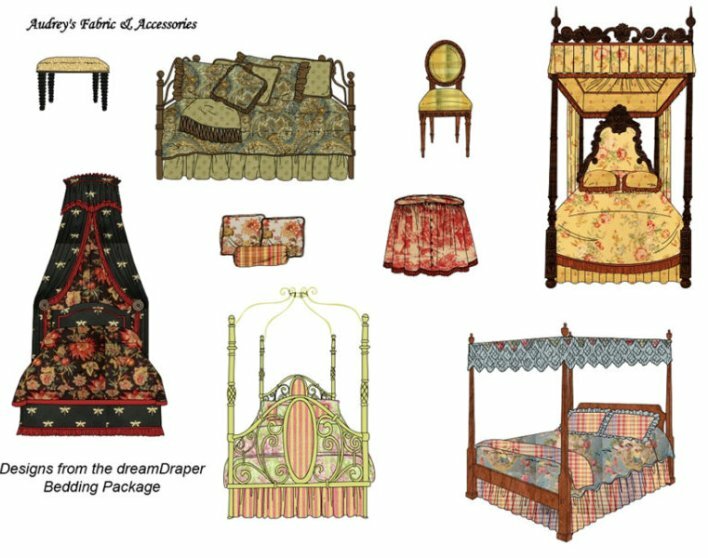 If you already design bedding pieces, then DreamDraper’s Bedding 1 Collection will boost your business, too! 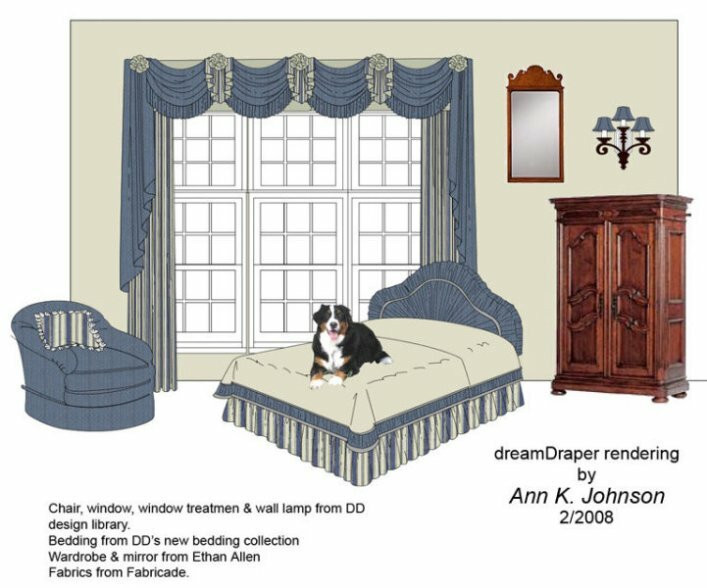 The Bedding 1 Collection expands your DreamDraper Design Library with 50 designs – including headboards, canopies and coronas, bedskirts, bedspreads, pillows, and much more. 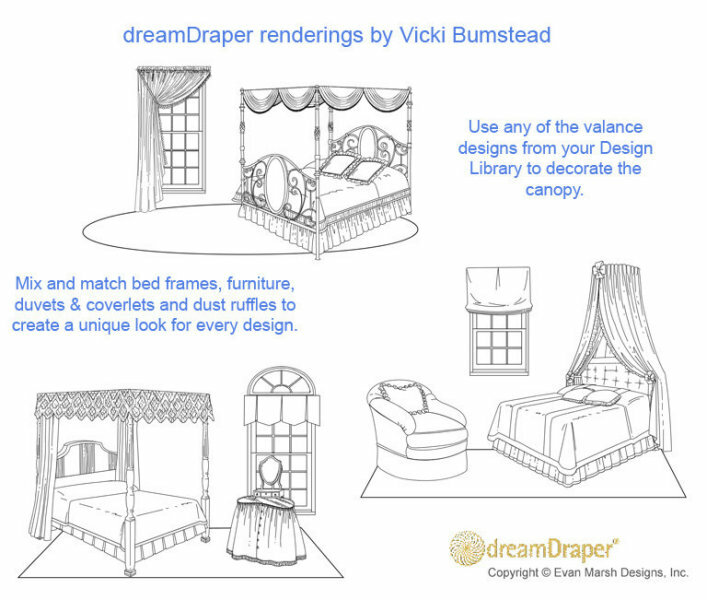 This collection is included FREE in the DreamDraper ONLINE PREMIUM (cloud) version.